I needed, so I just trimmed some corners off to fit my chair. two years under my weight have taken their toll on the foam! together, including the piping and zipper. Fabric case for the piping - I did not cut mine on the bias because it was going to be sewn along only straight edges all round the cushion shape. I usually only use bias-cut binding when it needs to go around curves like necklines. Zipper - I like hiding my zippers so I made mine flush against the piping of one of the edges, rather than be in the center of the gusset. To do this, I sewed one side of the zipper along one edge of the gusset, and used the other side of the zipper as the seam allowance of the gusset itself and sewed the piping case directly onto the zipper. Also I didn't use the iron, because I am lazy and don't iron anything if I can help it. 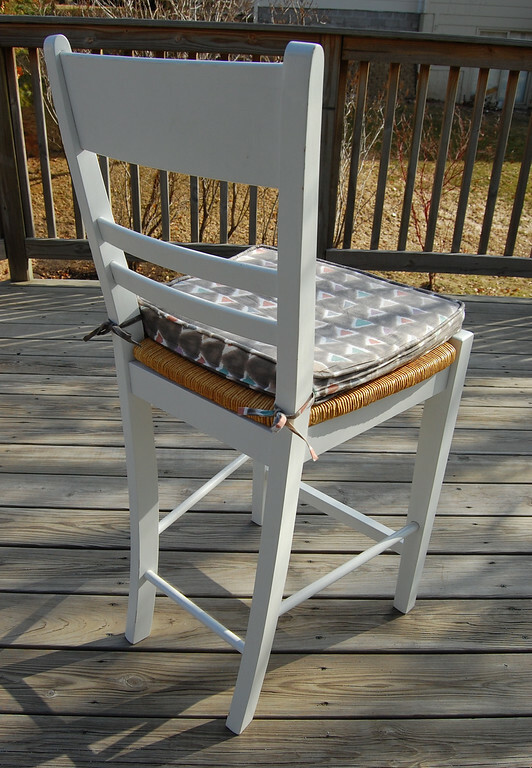 Handles - didn't need them for this chair. pieces of furniture, nor the space at home to install them. 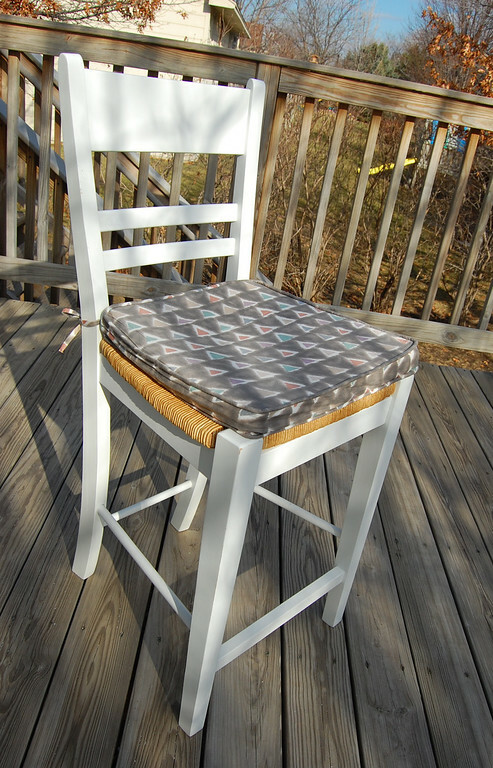 reupholstering all the sit-able surfaces in your house!! Rather interesting site you've got here. Thanks for it. I like such topics and everything connected to them. I definitely want to read more soon.